SALEM — Starting with the senior class of 2014, it will get tougher to graduate from high school in Oregon, under a plan passed last week by members of the state Board of Education. That means that this year's fifth graders will need to take four years of English, three years of math at the algebra I and higher level and three years of science to get a high school diploma. They'll also need to show that they've mastered a set of what school board members are calling "essential skills," including the ability to read and interpret a variety of texts and apply mathematics in a variety of settings. The new diploma requirements could also spell the beginning of the end for Oregon's much-maligned certificate of initial mastery, popularly known as the CIM, awarded to high school students who pass state tests in reading, writing, math and science and who complete eight graded classroom work samples. The CIM, which was passed by the Legislature in 1991 and designed to show that students met academic standards, is not mandatory, nor is it a stated admissions prerequisite for Oregon's seven public universities. Only 37 percent of high school graduates statewide bothered with the certificate in 2005. State schools Superintendent Susan Castillo said that the new diploma requirements would mean that all of Oregon's high school graduates, not just those who have earned the CIM, will have to prove that they met state academic standards before graduating. 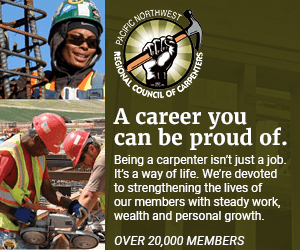 She is petitioning Oregon lawmakers to pass legislation phasing out the CIM and its companion, the certificate of advanced mastery, which was never implemented statewide. The new graduation requirements were nearly two years in the making, after protracted negotiations among school board members and plenty of comment from school districts. Some principals, teachers and school board members protested the new requirements and wondered who would pay for implementing them. The most controversial elements have been the new math and science requirements. Particularly in the state's more rural corners, districts worried that they wouldn't be able to find the teachers for higher-level math courses and that some students would become dispirited and drop out. Others said they would have to trim already meager elective offerings to allow for the new requirements. State board members, meanwhile, were all too aware that some other states have already leapfrogged Oregon in the rigor of their new requirements, requiring students to take the traditional algebra 1-geometry-algebra 2 sequence, even adding a fourth year of math, as well as a biology-chemistry-physics trio. What board members approved Thursday was essentially a compromise. Students will have to take two years of lab sciences, but can substitute an "applied science" for the third year — automotive technology or computer sciences, for example. And geometry and algebra 2 won't be required; students can take courses like accounting, or business math, to fill the requirement, as long as such classes incorporate higher-level math skills. Lower-level math classes can still be taken for high school credit but would have to be classified as electives. Under the new requirements, students will need 24 credits to graduate, up from the current 22. Special education students would still receive the same diploma, but some accommodations would be made for them. Students could also get diploma credit if they can show they have already mastered a subject and don't need to sit through the daily coursework. The board has yet to decide whether to impose a minimum grade-point average to earn a diploma. It is considering replacing the standardized test given to all Oregon 10th graders, which was developed locally, with a national college entrance exam, like the SAT or the ACT. The debate over the new requirements now shifts, in some sense, to the Legislature. Gov. Ted Kulongoski's proposed 2007-2009 budget contains a $10 million earmark to help school districts prepare for the requirements, and lawmakers could choose to set aside even more. "We need to approach this work with a sense of urgency," Castillo said. "It is going to take new, targeted investments. But it is not insurmountable."